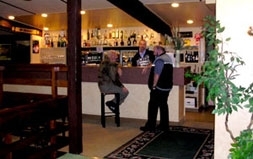 The Caves Motor Inn is the perfect choice for Waitomo accommodation. Set in tranquil surroundings with views of our beautiful countryside, our motel/motor lodge caters for a range of travellers with accommodation to suit most. We have spacious ground-floor studio rooms (sleep 2-3) and 2-bedroom self-catering family rooms (sleep up to 5). All rooms are serviced daily. Our popular on-site restaurant caters for all in-house guests as well as local clientele. Our establishment is a great venue for weddings, family reunions or group stays, with all facilities available on site. The Caves is also excellent for conferences and team-building stays and there is free off-road parking right outside the rooms. 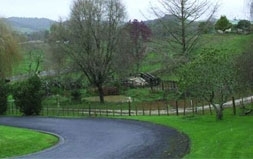 We are nestled between Otorohanga (8km) and Te Kuiti (10km), which are both only a 10-minute drive from Waitomo Caves. It is a great central stopover point, only 2.5 hours from Auckland, the ski fields and New Plymouth, and 1.5 hours to Taupo and Rotorua. The beautiful west coast beaches of Raglan, Kawhia and Mokau are just 1 hour away and trout fishing and hunting are right on our doorstep. Several golf courses are from 2-minutes to 30-minutes’ drive away and there is a local garden and creative arts trail nearby. Situated at the gateway to the famous Waitomo Glowworm Caves and tourist adventure activities such as abseiling, the Lost World and black-water rafting at Waitomo Adventures. There’s also horse treks, Billy Blacks Kiwi Culture Show, Marokopa Falls, the Mangapohue Natural Bridge, bush walks, several caves to visit, skydiving and much more. We have a great restaurant with a la carte dining. Open for breakfast and dinner and catering for in-house guests as well as local clientele. We also cater for group bookings and special occasions. Buffet, set menus and light finger food menus are available. It is a great venue for weddings and conferences (seats up to 100). We also have out-catering services. There is safe off-road parking with ample room for trucks. Sky TV. All major credit cards accepted. Restaurant is closed on public holidays and Sundays (open some Sundays during summer).